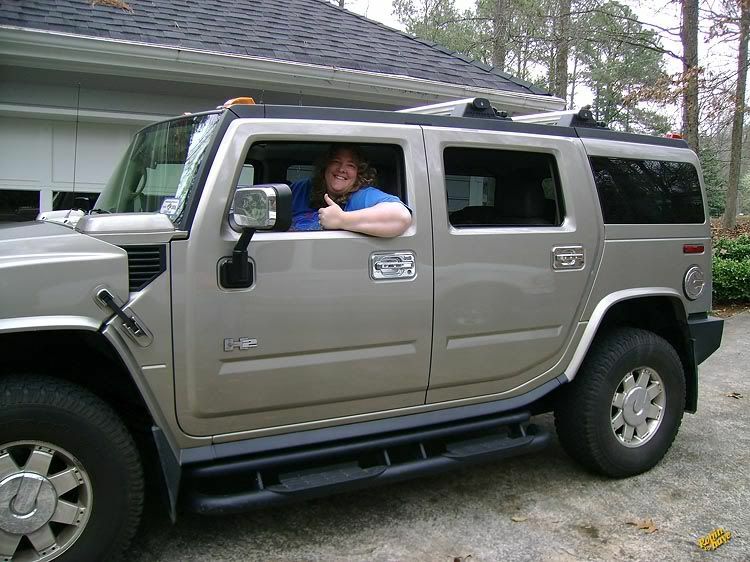 I finally got to drive my friend's Mom's Hummer. 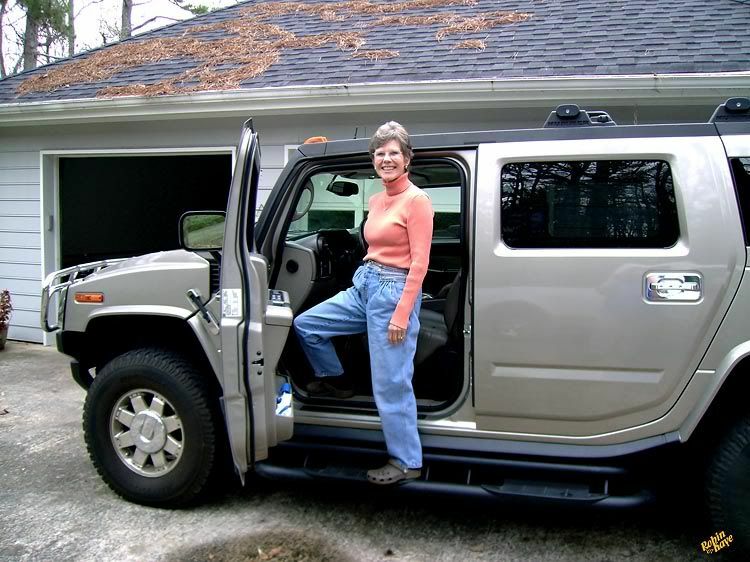 And here is a shot of Melanie's Mom with her hummer. I can drive on any side with that monster. I had a great trip, I love going down to Atlanta, very relaxing. Your friends mum must get some looks driving that oversized tin box around the town?